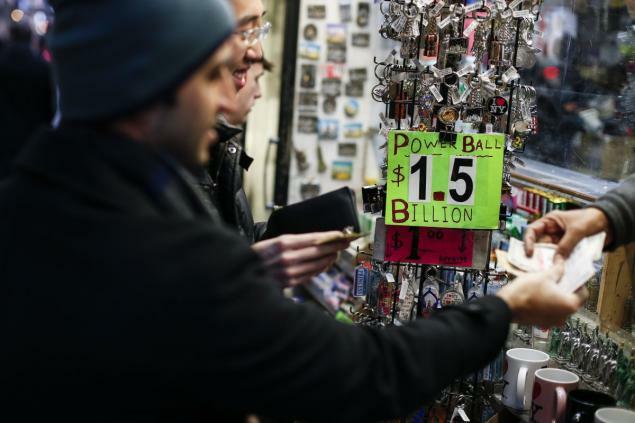 Compumatrix Bloggers Central viral You just won the Powerball Lottery: Now what? It's time to congratulate the winner of the $1.5 Billion Powerball Lottery Jackpot! YOU. Now that you've won the lottery. Don't go claiming it by yourself. Get your team ready and know the rules. Lifehacker's got an interesting article on that. Now to choose. Annuity or Lump Sum? With the annuity, you get your payout over time, and you’ll get extra moolah. If you win this Powerball Jackpot, you can opt for 30 annual payments that average to about $37 million, after Federal taxes. That adds up to just over a billion dollars over time. You'll get all your money at once, but after Federal taxes, that’s about $651 million (and even lower if you live in New York.) Doesn't matter, but it’s not gonna be over a billion dollars. Here’s the thing, though: even though the annuity adds up more over time, lump sum could still be a more lucrative option if you invest it, thanks to a little thing called compound interest. Let’s say you invest that $651 million into the broad stock market, which earns about 6-7% each year, on average, after inflation. Simply, we’ll assume you don’t have state taxes. In five years, you’d earn $871 million. In 30 years—the payout term for the annuity—you’d earn $3.74 billion. That more than makes up for the money you lost by opting for the lump sum amount. Good luck and now it's time to treat yourself to a humble and frugal vacation.